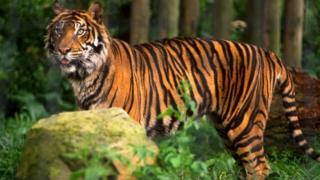 Police tweeted that the tiger had gone on the loose in the 15th district but "the danger has been eliminated". "It was a very big tiger," a witness called Ralph told Le Parisien website. "We heard two or three shots and saw police going down towards the tracks."